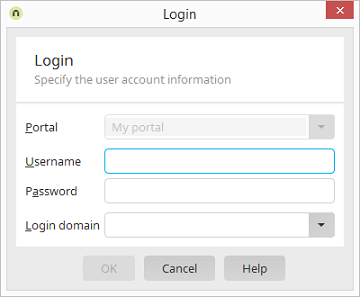 Select the portal that you would like to log in to. The domain can be specified here. With the keyboard combination Alt + . in the User name field, the user name Administrator will automatically be inserted. This account should be provided with a password for security reasons.